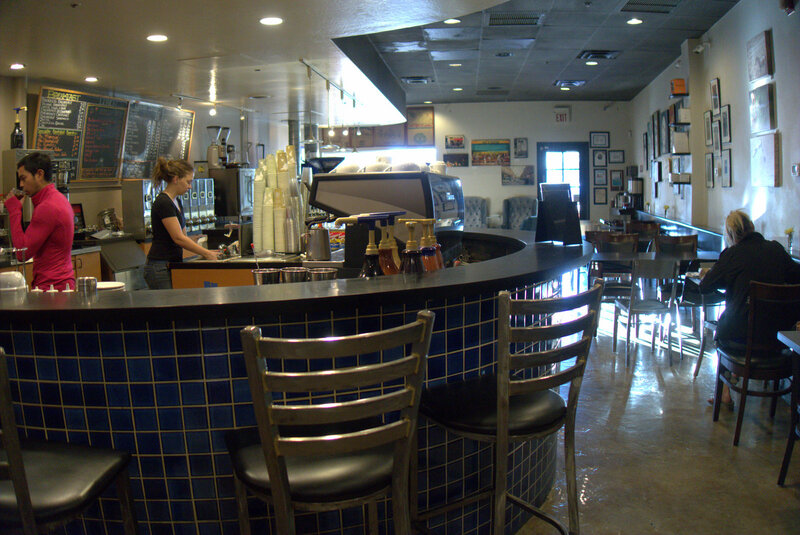 Village Coffee Roastery is one of the oldest coffee shops in Arizona. 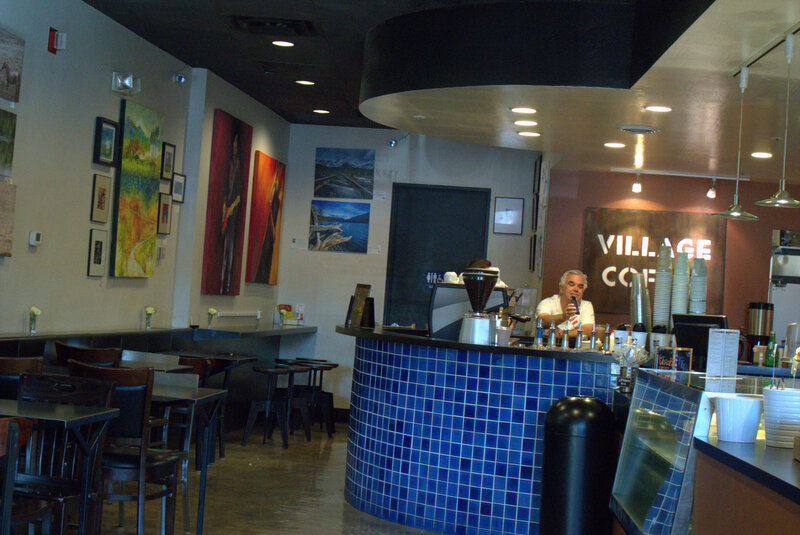 Village Coffee serves coffee and espresso drinks, as well as breakfast, and lunch options all day. 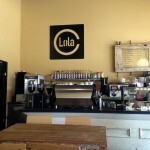 They have a variety of muffins, cookies, and other pastries. 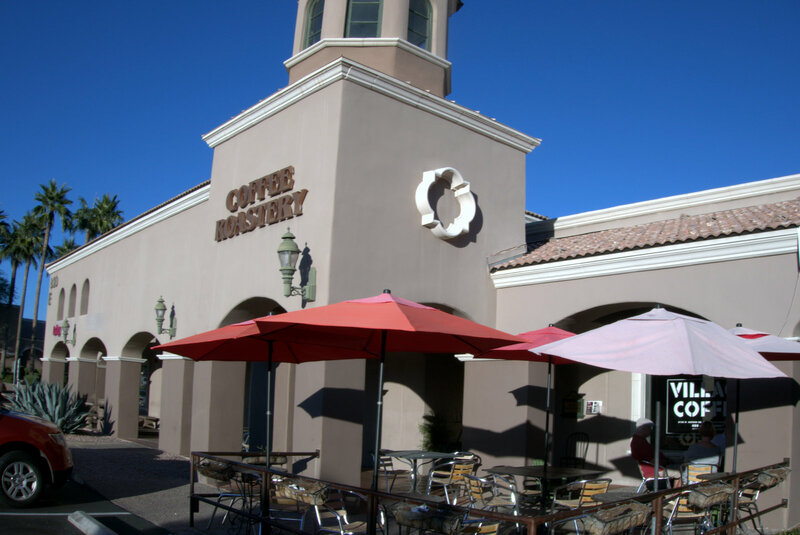 Village Coffee is located on the north west corner of Hayden Rd. and Via de Ventura in Scottsdale, AZ. The shop is always busy and has a very devoted local crowd of customers. This coffee shop has always been one of my regular stops, probably due to its high quality food, and proximity to my home. With that said, I stopped ordering the cappuccino a long time ago due to the way they serve them: dry. But, I normally order a red eye which is always awesome in the morning. For some reason I really like their chai tea. 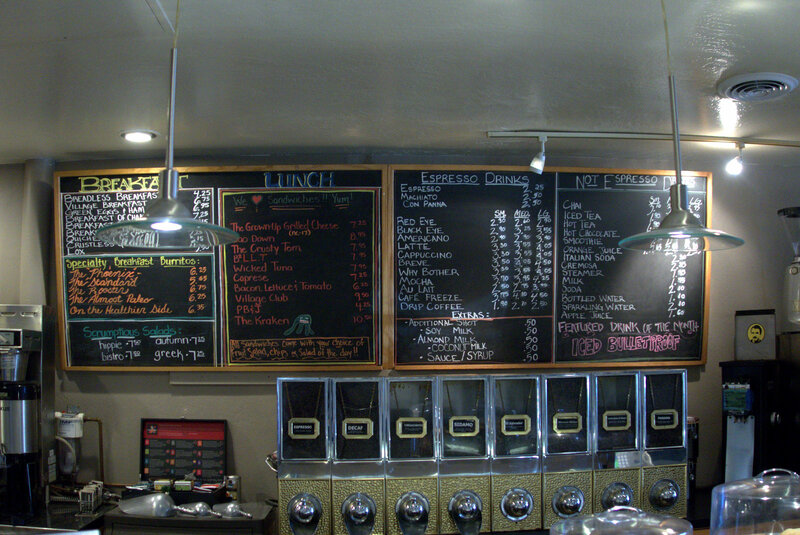 Village Coffee has a fairly extensive breakfast and lunch menu, which includes egg sandwiches, normal sandwiches, and bagels and cream cheese. They have a pretty good selection of cookies and muffins. 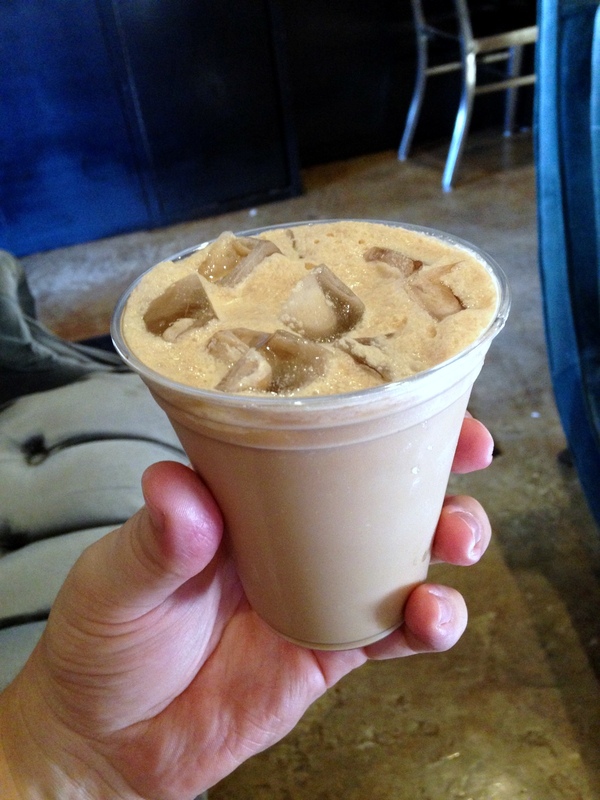 Also, they’re serving Bullet Proof Iced Coffee in case you’re interested. They have a “drink of the month” up on the menu, and it’s often unique. One time it was called The John Wayne and came with three layers in a small glass mug: vanilla flavoring, cream, and espresso. Delightful. Viillage Coffee has changed hands only one time in 20 years (from what I understand) and about 5 years ago the current owners revamped the interior of the shop. 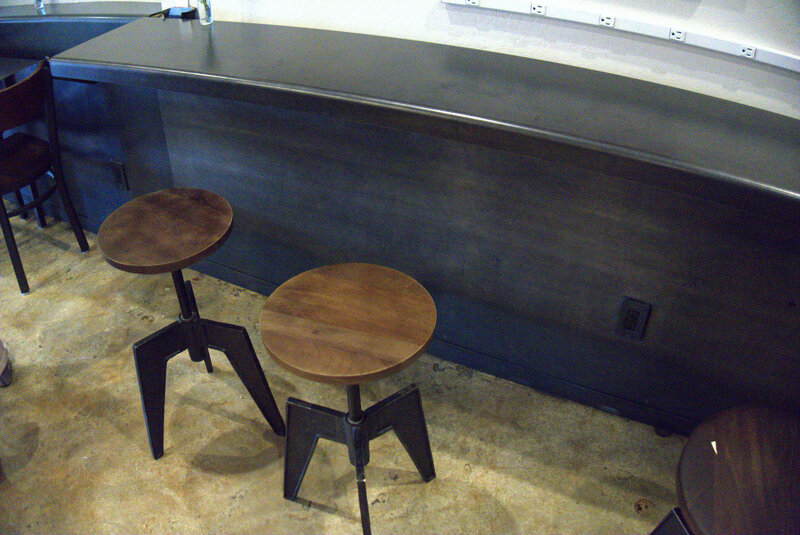 When you walk into Village Coffee you’ll see they have a couple of couches under the window next to the Probat coffee roaster. Village Coffee has a highly loyal customer base. Because of their long years in the same community they attract locals from the area. The shop is also located along a popular walking trail and is a frequent stop for bikers and joggers. 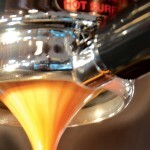 If you are in the Scottsdale area, do yourself a favor and check out Village Coffee Roastery.